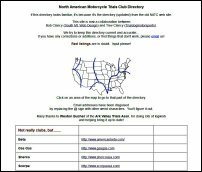 Here are some of the sites I've done....... some are originals, some are "inherited", meaning they were created by someone else but then never updated or maintained, and I got the chance to give them new life. A site for Elizabeth Prosapio, also known as 'Raven'. 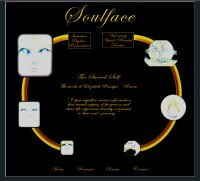 She does Soul Portraits and also visionary paintings on drums. 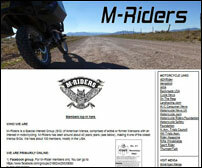 A motorcycle friend of mine purchased the site and I do the techie end of it. It uses Simple Machine Forums (34 boards), Joomla, and Coppermine Gallery. A very interesting and friendly site. Importer of Mecatecno electric motorcycles for all, kids to grownups. for ease of updating by the site owner. The motorcycling Special Interest Group of US Mensa. Has password-protected members' area and a forum. One of my previous sites was turned over to someone else and redone. This club directory was dropped, so I revived it under its own domain. Click on the map and it'll take you to listings for that part of the country. A volunteer site, with the goal of protecting our scarce water resources from 'developers' and out-of-state 'water development' companies. 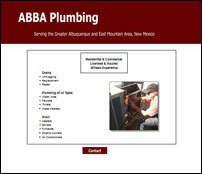 A simple site for a friend... what services he provides and his contact information. 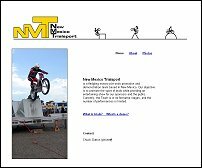 A couple sites that are a collaboration with my son Trevor. He's a photographer and also has a small trials motorcycle business. Where I live. 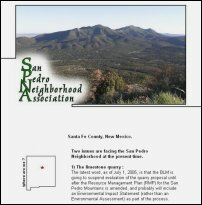 That's South Mountain in the picture. 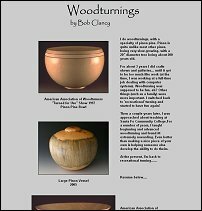 Just one page, included here for interest and the photos. 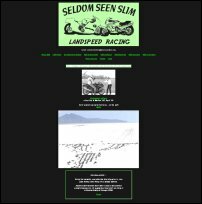 The personal site of my landspeed-racing friend mentioned above. Inherited, modified a bit, and now updated with Contribute. The archive.... largely volunteer sites that have run their course and been passed on to others. 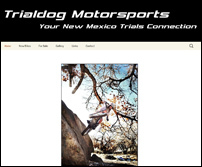 A trials demo/training team. The team's been dissolved, but the photo page has been preserved here. 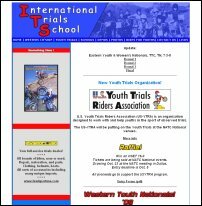 A trials school run by Bill Markham, who puts on fun youth trials at all the NATC Nationals plus the Western Youth Nationals. An inherited site, modified and updated as a contribution to a good cause. It's been passed on to another volunteer. 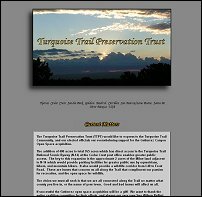 An organization devoted to preserving the Turquoise Trail Scenic Byway in New Mexico. I no longer belong to the organization, and the site has been turned over to another volunteer webmaster. 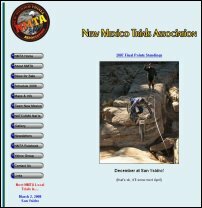 The NMTA is our local trials club. This is a straightforward site that has gone through a couple makeovers over the years. In June of 2008, I turned it over to another club member, so if you'd go there now, it wouldn't be my work. 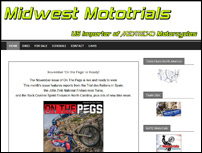 Site for the US Trial des Nations Team. The Team is made up of the best riders in the country, and travels to Europe every fall to represent the US.